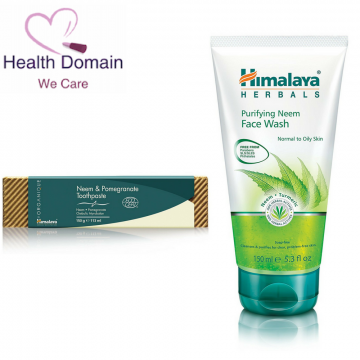 "Natural and organic cosmetic certified by Ecocert Greenlife according to Ecocert standard available at http://cosmetics.ecocert.com"
ALL NATURAL HERBAL EXTRACT: Primarily made out of Neem and Pomegranate, these natural and organic herbal extracts are well known for their properties used to clean teeth, and their soothing effect together with a Triphala (combination of Amla, Bibhitaki, and Haritaki) amd Xylitol from Birch as a sweetener that helps to break down biofilms. Fluoride Free, Saccharin Free and Sodium Lauryl Sulfate (SLS) Free. No Animal Testing. Cold Pressed Oils - Cold Extraction. 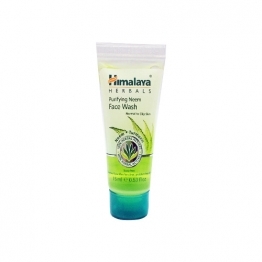 Unlike soaps, Neem face wash gel does not leave your skin dry and stretched. 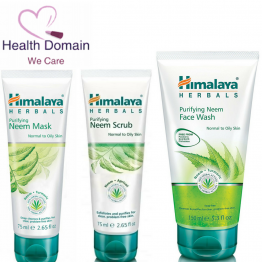 Neem, well known for its antibacterial properties kills problem causing bacteria. 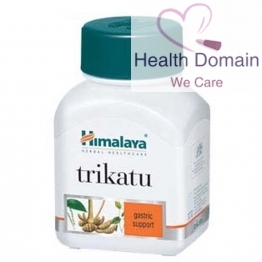 Combined with turmeric, it effectively controls acne n pimples. Results in clear, soft and refreshed skin. Rejuvenates and firms up the skin. Cleanser for acne prone skin. Moisten the face, massage gel all over the face gently. Wash off and pat dry. Use twice daily.